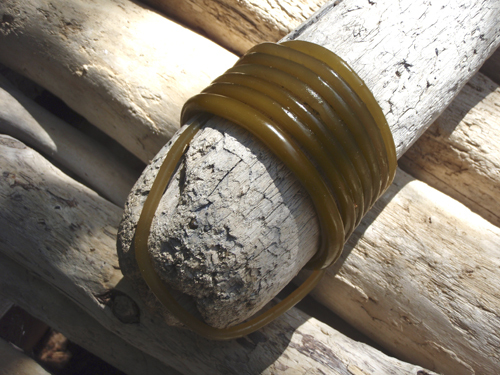 I’ve been collecting Bull Kelp (Nereocystis luetkeana) to experiment with its material properties and possible use in a woven structure, such as a seat for the California Windsor Chair I am developing. 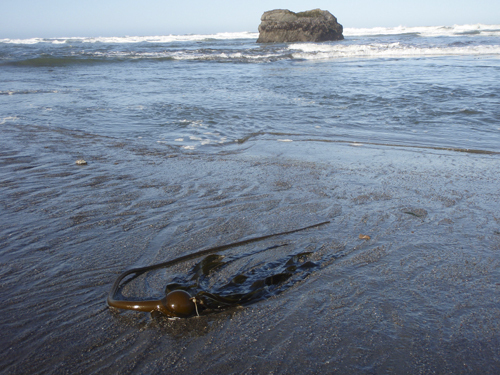 This time of year the kelp beds are far offshore, but I’m hoping to prepare for the fall, when storms begin to wash enormous, tangled deposits onto the beaches of the wild Sonoma Coast. With just a small amount of kelp I can test some ideas and perhaps make a prototype over the summer. This morning I ventured out to Salmon Creek beach just after sunrise to see what the beach would yield on a -0.7′ low tide. The beach was empty when I arrived, the weather calm, and the tide still going out. 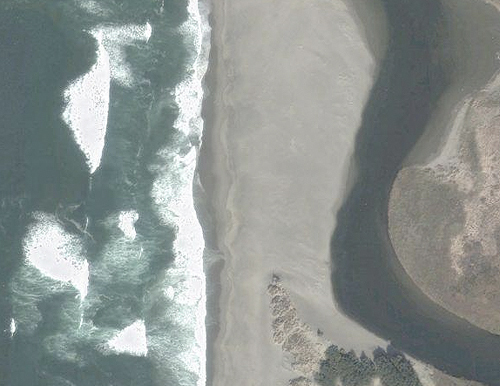 I harvested several fresh young kelp strands and noticed a few clusters eddying in the gully. These pieces would be perfect for my experiment, being much smaller in diameter, shorter in length and generally more manageable than the monster clusters of the winter months. There appeared to be fish in the gully and I brought along my surf rod just in case. 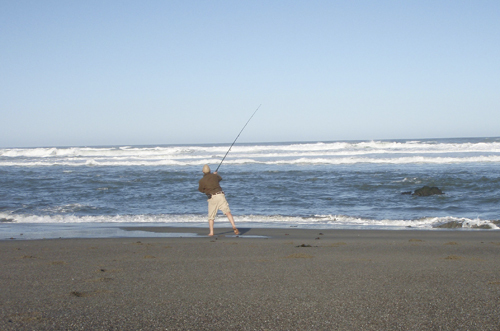 I’ve seen stripers, ling cod and sea perch caught here, usually by Mexicanos using live shrimp or anchovies for bait. 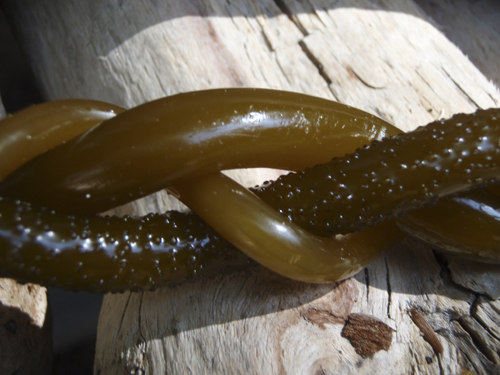 I made a dozen casts into the slack tide gully and trolled my silver lure around rocks and beds of seaweed, waiting for more young kelp to wash ashore. I did not catch any fish, but enjoyed the clear-headed casting and loaded my backpack with shiny brown kelp before heading back up the ridge to home. Next time I’ll bring bait. Posted by Scott on May 23rd, 2008, at 3:38 pm, and filed under all, bioregion/vernacular, california windsor, expedition, material provenance, studio process.